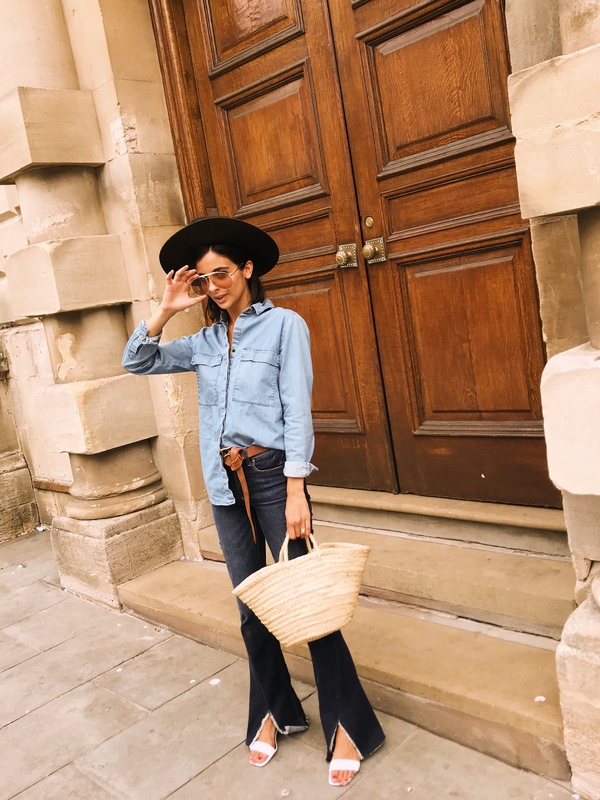 I love denim, I wear it every single day and it’s formed nicely part of my day to day wardrobe, and I now think that denim is in fact the investment piece for any wardrobe! 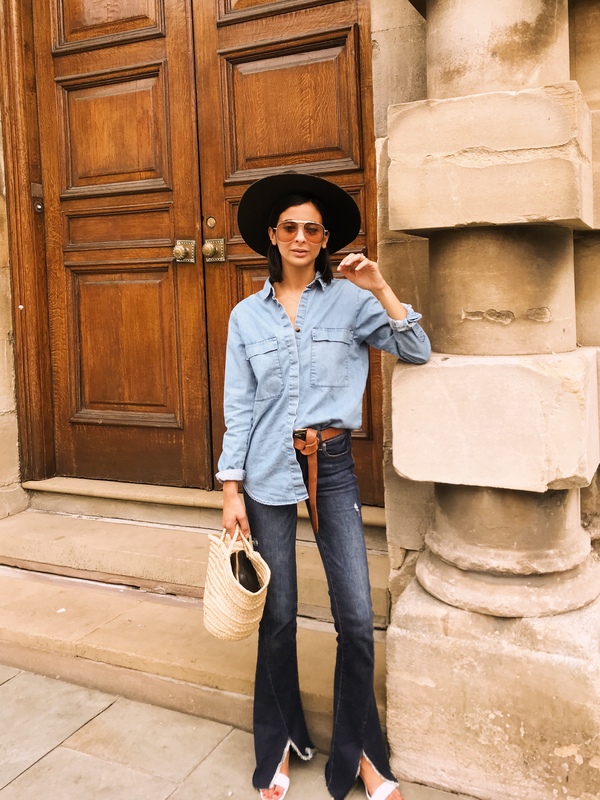 Whether it’s summer, winter or fall you can wear denim any time of the year and that’s why I love it so much. You may remember last week I did an unboxing with Paige ( you can catch this on my IGTV and highlights) and I showed you the key pieces I got from their new AW18 range. 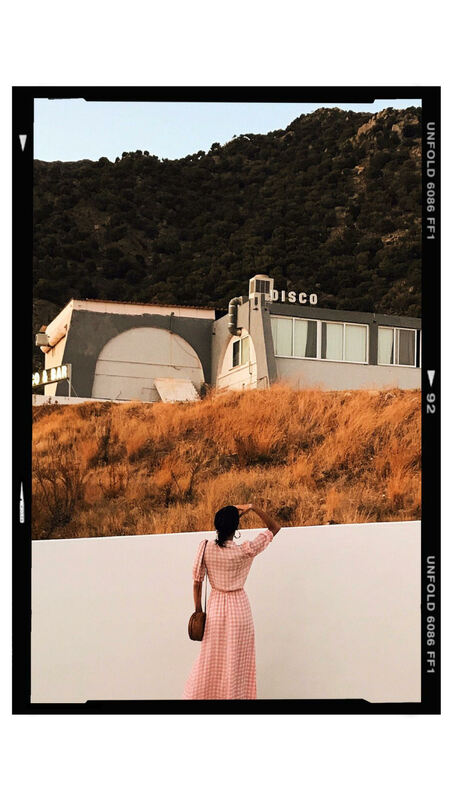 As well as the Chrystin Robe (here) they also sent me the new Lou Lou transcend vintage hem jeans (here) and I am obsessed with this style. It comes in a high-waist shape which helps elongate those legs and has a flare kick with a split hem. The fit is stretchy but with a raw denim feel and fits true to size. 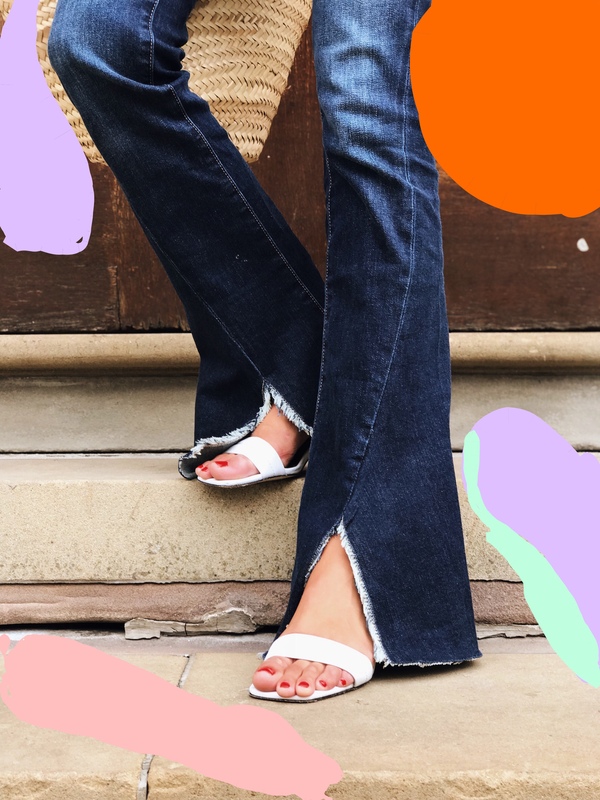 I feel like I could errands all week long in these and run around after the kids and these jeans wont loose it’s style.I have nothing like this in my wardrobe and in fact I haven’t seen anything like this cut on the high-street or anywhere. 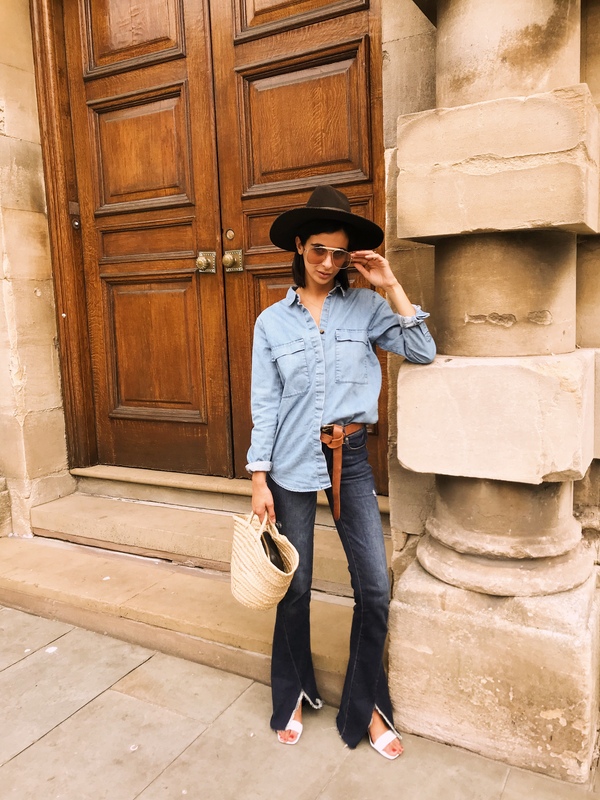 The style takes me back to my favourite era of the 70’s with a modern twist, so I styled it with this denim shirt for under £30.00 (here) from H&M for a relaxed off-duty weekend look with the family. 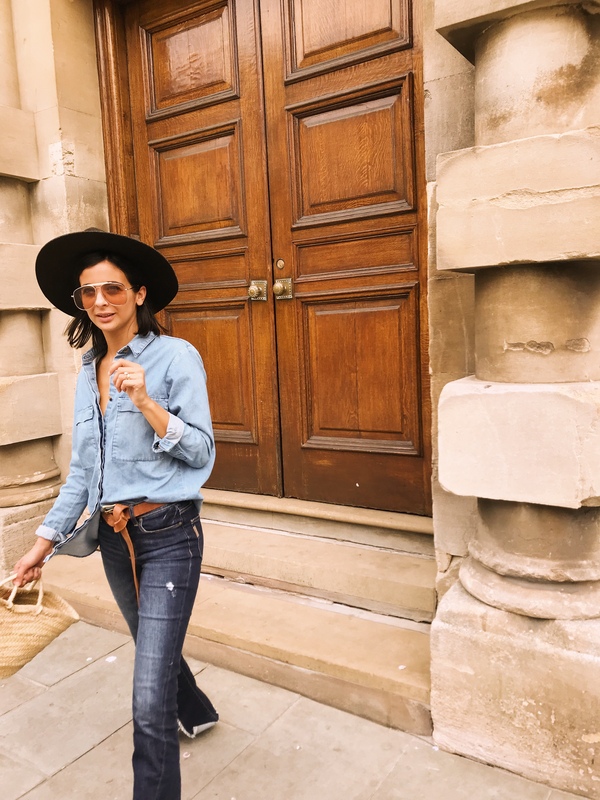 Since being a mother, denim on denim has been my favourite go-to, where I can chuck it on and go about my day in an effortless way. 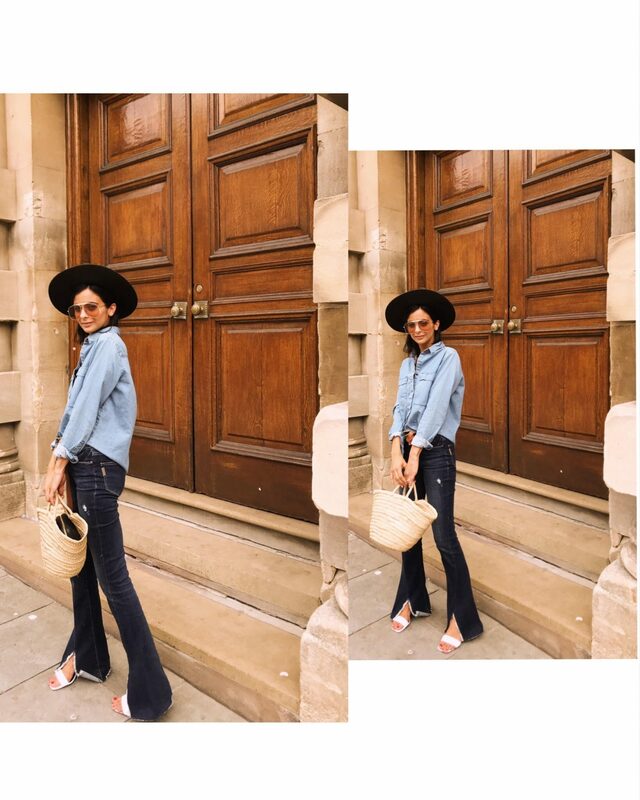 I’ve teamed it with my white Sandro Paris sandals (here) and my Janessa Leone hat for those greasy hair days! 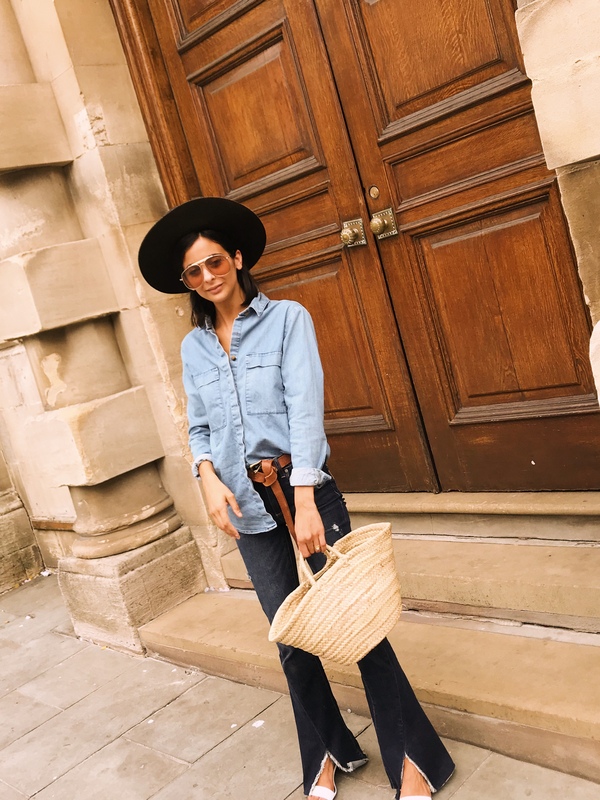 My wicker bag is from Bohemia Design and my belt is from ASOS (here) and I went up a size so I tie it up like I have styled here.